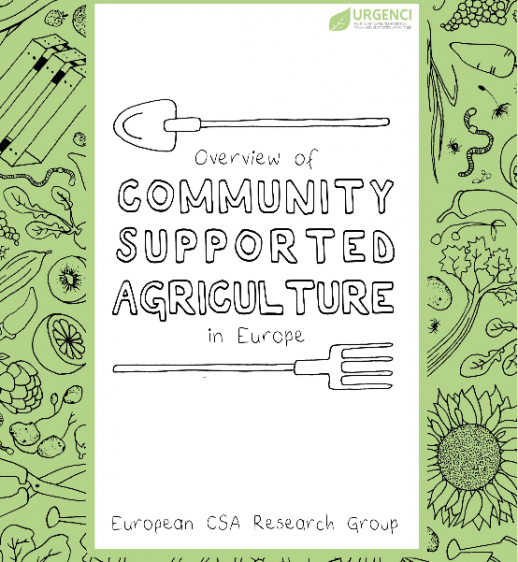 The European CSA Research Group published a beautiful report giving an overview of the community supported agriculture (CSA) projects and network in Europe. This movement is being increasingly recognized for offering an alternative to the unsustainable industrial food system and thus as a concrete approach in the transition towards agroecology and food sovereignty. In the “European CSA Overview” the knowledge of actors from 22 European countries has been combined. All these actors are from the interface of research and farming and have an intimate knowledge of CSAs in their respective countries. The Report thus gives an insiders’ perspective on the state and the dynamics of the CSA movement in the continent. With this Report, the European CSA Research Group aims to improve knowledge generation and sharing amongst CSAs in Europe and to create awareness among policy makers and the wider public that functioning alternatives to industrial food dependency exist. Apart from presenting the results of a Europe wide census, this report analyses the agro-ecological dimension of CSA practice.